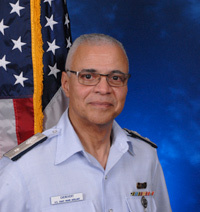 The purpose of the Association is to support U.S. Coast Guard, U.S. Coast Guard Auxiliary, and the Coast Guard Auxiliary Association, Inc. To assist the National Commodore and the National board of the U.S. Coast Guard Auxiliary in advancing the programs of the U.S. Coast Guard Auxiliary in conjunction with the National Commodore and/or the National Board. To keep members of NAC informed concerning matters of current interest on the National level. To encourage member of NAC to actively participate in the Auxiliary within their respective Flotillas, Divisions, and Districts, and to encourage all Commodores (elected and appointed) to become members of the National Association of Commodores. The National Association of Commodores is made up of past and present Commodores. The current membership stands at 167 members.